El-Camy Poker: Need ALOT of help here! Need ALOT of help here! Well the challange is going good to start. i do hate playing the micro stakesm but that is part of the challange and the fun. BUT i reliezed i need ALOT of help. so i cant add any money to my PokerStars account so i will wait and see if i can read some more and fix my PROBLEM, if not i will have to get a coach or someone that can help me. 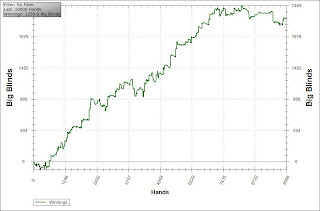 I like to look at my graphs in Big Blinds, it allows me to play with out the thought of money on my mind, cause this challange at the beginning has not alot to do with that. until i can get up to 100nl then i can start with the second half of my challange and thats building a Awesome custom chopper. that i will rid across canada, around the coast of the USA before finishing up in Ottawa, where i will will sell it and give Profits to Charity. So here is my PROBLEM. 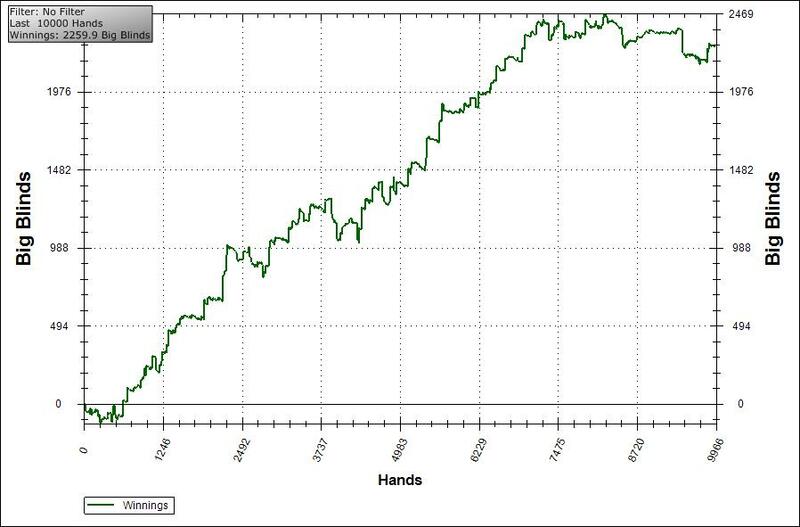 first graph is the last 10k hands i played. seem ok i guess. 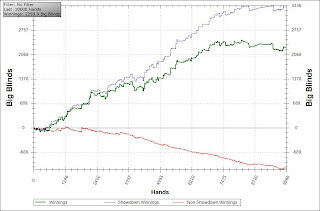 Now when i put on the graph that is with my non-showdown and showdown winnings, notice the DOWNWARD spiral that my NON-SHOWDOWN winnings are going. when i was playing alot before my non-showdown was higher then showdown. 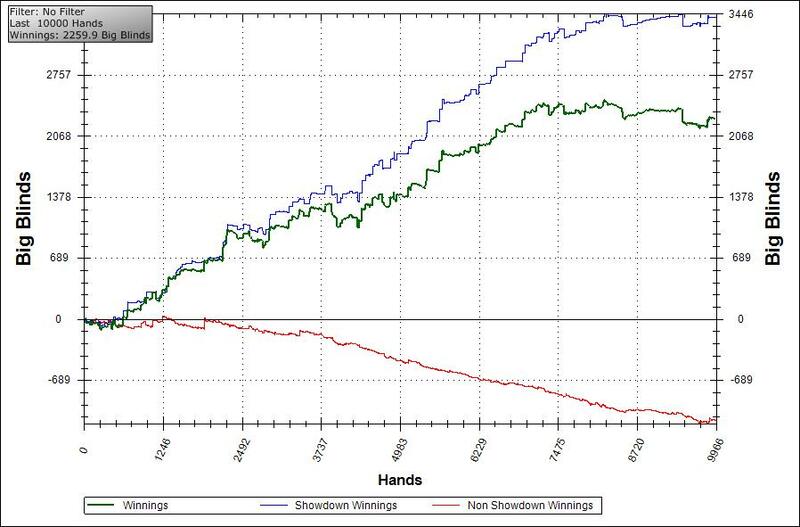 negative non-showdown winnings doesn't necessarily mean you're playing bad. many winning players have negative red lines, so don't sweat it.